Earlier this week, Ethereum World News reported that Coinbase CEO Brian Armstrong explained in an interview that his cryptocurrency platform was receiving an influx of “more than 50,000 (people) a day signing up.” Many individuals saw this as a bullish sign, with many noting that this figure indicates that the market is continuing to garner the interest of individuals, despite the overall downtrend in prices. Although many saw this proclamation from Coinbase’s CEO as a matter of fact, including Bloomberg reporters, who originally broke the topic, it was later clarified that the 50k/Day figure only applied during 2017’s astounding bull-run, where Bitcoin’s price rose by over ten-fold. 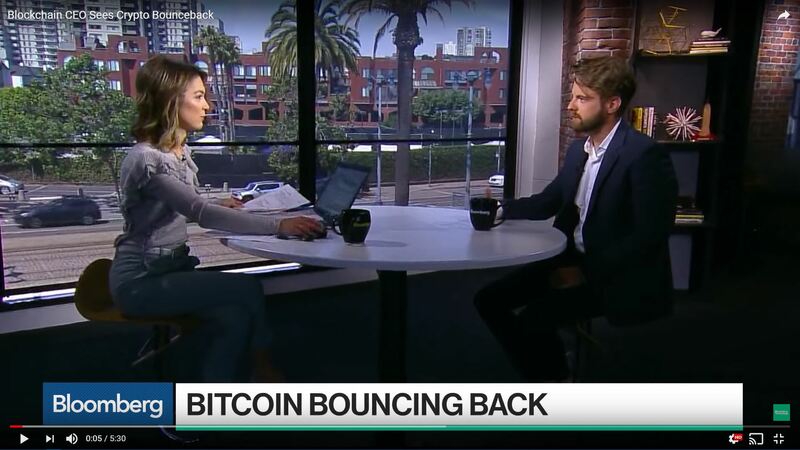 As such, skeptics thought that adoption rates of cryptocurrencies would be down across the board, but according to a tweet from Peter Smith, the CEO of the Blockchain crypto/blockchain infrastructure firm, this may not be the case. While this figure had some cryptocurrency proponents over the moon, some were critical that Peter Smith might have been ‘overhyping’ this figure. One Twitter user wrote that Smith may mean 50,000 new wallets each day, which is a far cry from 50,000 ‘fresh meat’ signups each day. While another critic pointed out how Blockchain doesn’t currently support a fiat on-ramp for retail investors, making such a growth statistic note entirely relevant. Nonetheless, this statistic, regardless of how some see it, still shows that this nascent industry is alive and kicking, even after a dismal 70% decline. Speaking more on this prediction, Smith cited reasons of higher levels of regulatory clarity, which was brought about by the countless developments made over the past year as Bitcoin made a foray into the mainstream. Secondly, the CEO of Blockchain brought attention to the current dynamic between institutional and retail investors in this fledgling market. Smith noted that the institutional “order flow” has begun to increase, with retail interest starting to die down. Although institutions are starting to show interest, he closed out this segment noting that the market will not experience the full effect of this influx of investment until mid-2019. As Peter Smith has continually noted, it may be a few years before cryptocurrencies and blockchain technology replace the legacy systems that are used by billions across the world. Bitcoin Brigade promises to be a fair and objective portal, where readers can find the best information, recent crypto currency news and how to articles.